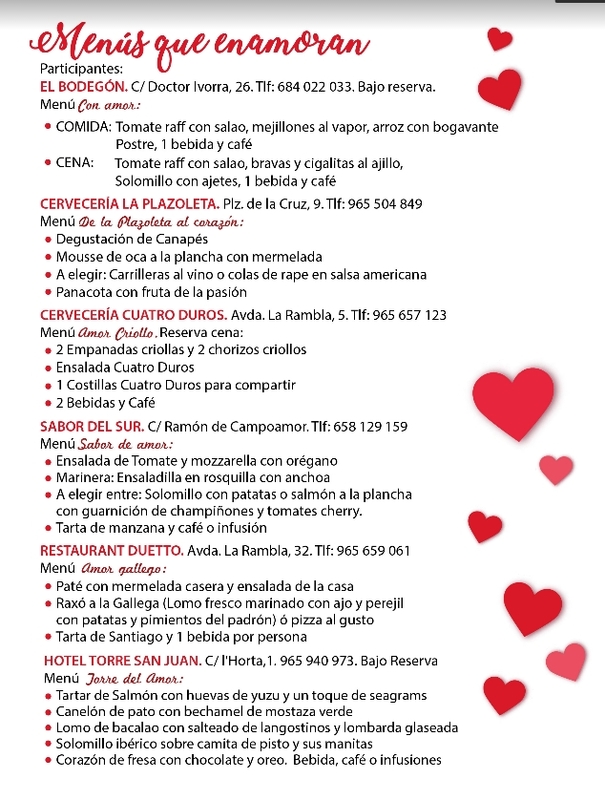 Menus to fall in love with and gifts with heart from 1st to 17th of February. 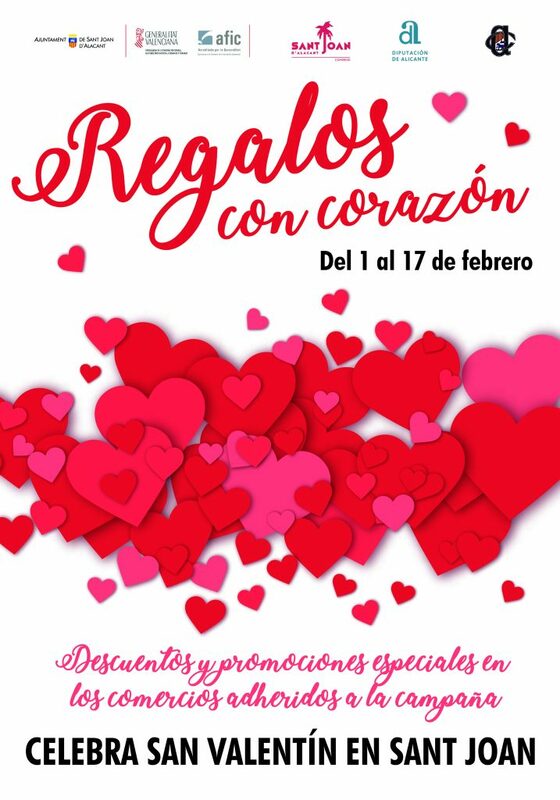 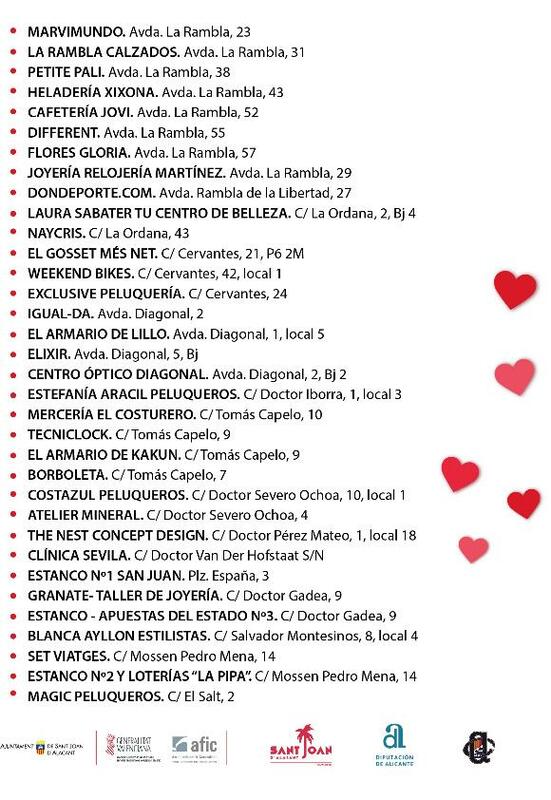 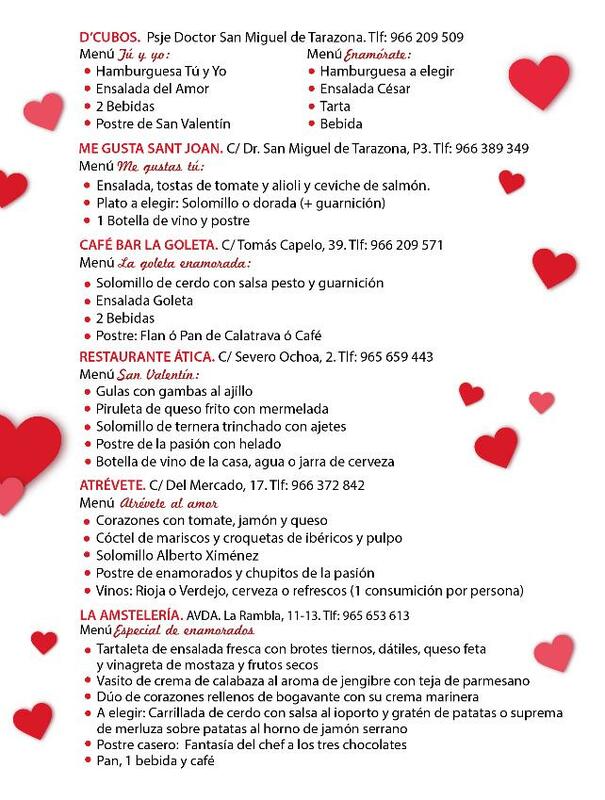 Celebrate Valentine’s day in Sant Joan and enjoy special menus, discounts and promotions in the shops attached to the campaign.  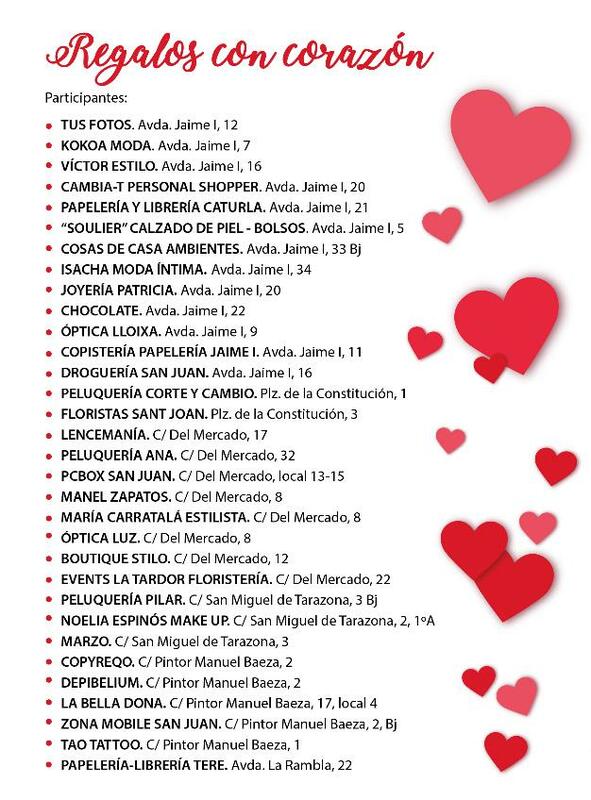 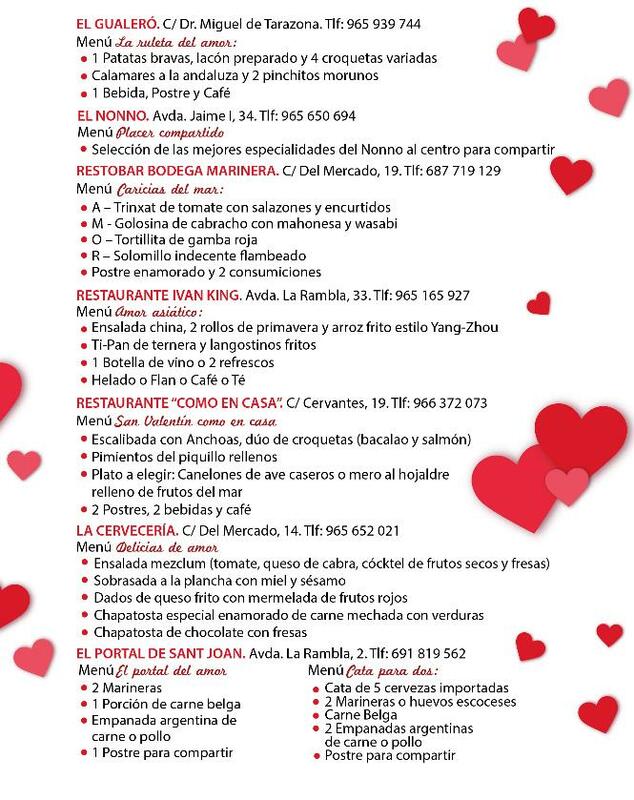 Sant Joan d ‘Alacant is full of hearts and offers to celebrate Valentine’s day in its shops and restaurants. 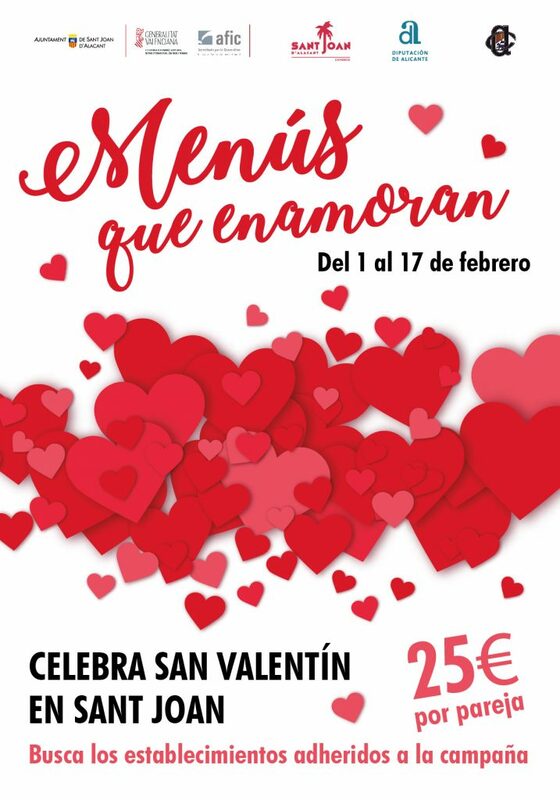 From 1st to 17th of February take advantage of discounts and promotions, and enjoy the special menus for two for just 25 euros.